Fully Illustrated. 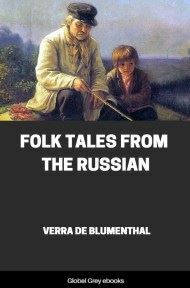 The first third of this book is a travelogue which describes Curtin's Siberian journey; this is a fascinating glimpse at Tsarist Siberia just before the Revolution. 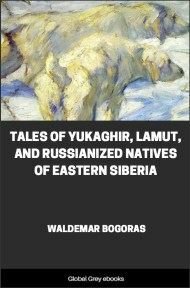 The last two-thirds of the book is an extraordinary record of the mythology of the Buryats. There are many elements found elsewhere through Asia and Europe such as epic horses (and horse sacrifices), battles with giants, a World-mountain and 'the water of life', (see The Epic of Gilgamesh). There are also unique elements such as heroes with oracular books embedded in their bodies. 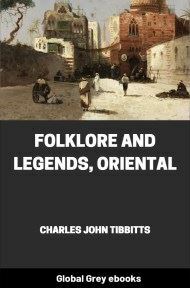 THE Buriats whose myth-tales I have collected, and whose beliefs, modes of worship, and customs I have studied at their source and describe in this volume, are Mongols in the strictest sense of the word as men use it. They inhabit three sides of Lake Baikal, as well as Olkhon its only island. The place and the people are noteworthy. Lake Baikal is the largest body of fresh water in the Old World, being over four hundred miles long and from twenty-four to fifty-six miles broad, its total area covering about thirteen thousand square miles. The Buriats living west of that water, and those inhabiting the sacred island of Olkhon, are the only Mongols who have preserved their own race religion with its primitive usages, archaic beliefs, and philosophy, hence they are a people of great interest to science. The region about that immense body of water, Lake Baikal, is of still greater interest in history, for from the mountain land south of the lake, and touching it, came Temudjin, known later as Jinghis Khan, and Tamerlane, or Timur Lenk (the Iron Limper), the two greatest personages in the Mongol division of mankind. From the first of these two mighty man-slayers were descended the Mongol subduers of China and Russia. Among Jinghis Khan's many grandsons were Kublai Khan, the subjector of China, together with Burma and other lands east of India; Hulagu, who destroyed the Assassin Commonwealth of Persia, stormed Bagdad, and extinguished the Abbasid Kalifat; and Batu, who covered Russia with blood and ashes, mined Hungary, hunting its king to an island in the Adriatic, crushed German and other forces opposed to the Mongols at Liegnitz, and returned to the Volga region, where he established his chief headquarters. Descendants of Jinghis Khan ruled in Russia for two centuries and almost five decades. In China they wielded power only sixty-eight years. From Tamerlane, a more brilliant, if not a greater, leader than Jinghis, descended the Mongols of India, whose history is remarkable both in the rise and the fall of the empire which they founded. These two Mongol conquerors had a common ancestor in Jinghis Khan's great-great-grandfather, Tumbinai; hence both men were of the same blood and had the same land of origin,—the region south of Lake Baikal. That Mongol power which began its career near Baikal covered all Asia, or most of it, and a large part of Europe, and lasted till destroyed by Russia and England. The histories of these struggles are world-wide in their meaning; they deserve the closest study, and in time will surely receive it. When the descendants of Jinghis Khan had lost China, the only great conquest left them was Russia, and there, after a rule of two hundred and forty-four years, power was snatched from them. The Grand Moguls, those masters of India, the descendants of Tamerlane, met with Great Britain, and were stripped of their empire in consequence. The British conquest of India and its methods mark a new era in history,—the era of commercial invasion, the era of the "drummer" in politics; that drummer who, in addition to the wares which he offers, has statecraft behind him, and when the need comes he has also cold steel and hot cannon-balls. The Grand Mogul and his counsellors could not suspect danger from this man. They considered him, at first, much as rich ladies in great country houses far from cities might consider a humble and toiling pack-peddler. But, though he might seem insignificant, this man was really a conqueror. 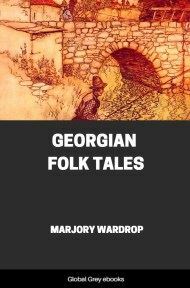 The Grand Mogul, Jehargir, could not see, of course, that Hawkins and Roe would bring after them servants such as Clive, Warren Hastings, and others, who would take from his heirs whatsoever they valued,—land, dominion, and treasures. Mongol rule was abolished in India by the British because it did not accord with their methods and objects. It was destroyed by the Russians because it was foreign, oppressive, and hateful. They simply freed their land from aliens. The conflict in Russia was what people call patriotic. It was carried on through sacrifices and struggles of many kinds. There is a third Mongol history which affects greatly the actors in the two histories just mentioned. This history had its origin at Lake Baikal, though indirectly. When Jinghis Khan was hunting the Kwaresmian ruler, Shah Mohammed, to his death on an island in the Caspian, a group of Turks, or western Mongols, fled before him, and found refuge in Asia Minor. The time for them proved favorable. They fought; they obtained land, and prospered. They grew great by accretion, as does a snowball rolling down a long mountain slope, till at last they won the empire established by Constantine. This Mongol group, four hundred and forty-four families in number, became known as the Ottomans, and after the destruction of the Kalifat at Bagdad they were the heirs of Mohammed, and a terror to Europe. In time, however, they weakened, and Great Britain came to be the defender-in-chief and mainstay of those western Mongols, and Russia their main and chief attacker. So the spoilers of Tamerlane's descendants in India became the active allies of the Mongols on the Bosporus, and the enemy of that Russia who had pushed Mongol rule out of northern Europe. Had Jinghis Khan never lived, those Turks, or western Mongols, known afterward as Ottomans, would never have left Asia and ruled on the Bosporus.